High-Functioning Flesh from Los Angeles came to Vancouver recently, and what a high powered show! If you like oldschool EBM or synth punk, I’m pretty damn sure you’ll love these guys. And if you have a chance to catch them live don’t miss out – you will be bouncing and dancing all night. Weird Candle just came back from a tour with //ZOO (who I will write about in a future entry once their Soundcloud is back up and running!) and they brought home some crazy energy with them. Their live show has gotten even better, they’ve got some new ideas up their sleeve, and I can’t wait to see what they’ll do next. Sounds like they have a full album release in the works for later this year, but in the meantime check out one of their newer tracks, Regeneration – complete with soul-wrenching lyrics. The Will To Power visited last week and it sounds like they’re a fairly new project from Winnipeg. Definitely a band to keep an eye on – Canadian dark synth and new wave that is right down my alley. Tempt and Time are other songs that have really hooked me on this release, worth checking out and I hope they’ll be back soon! Siekiera, a Polish post-punk band who went on to make new wave music, is a really excellent band from the early 80s that I completely missed until now! Their sole LP, Nowa Aleksandria, is jam packed with awesome tunes reminiscent of early Killing Joke. The soviet-era songs can be desolate, driving, and seem to encourage listeners to dance out their frustrations and join the musical frenzy. You can buy a deluxe version of Nowa Aleksandria from iTunes here. Dark Entries released Sumerian Fleet’s new LP a couple of months ago and I’m just getting around to listening to it today. If you like dark synth tracks with some industrial/EBM influences, this album is for you. The Dutch band utilizes a bunch of vintage analog gear and wonderfully gothic male vocals, sounds fantastic! Couldn’t find a Bandcamp or Soundcloud to link to, but you can buy/listen to the songs here at Dark Entries and check out their title track below! Thanks to my friend Brian over at http://brtrain.wordpress.com/ (check him out if you’re in to games! 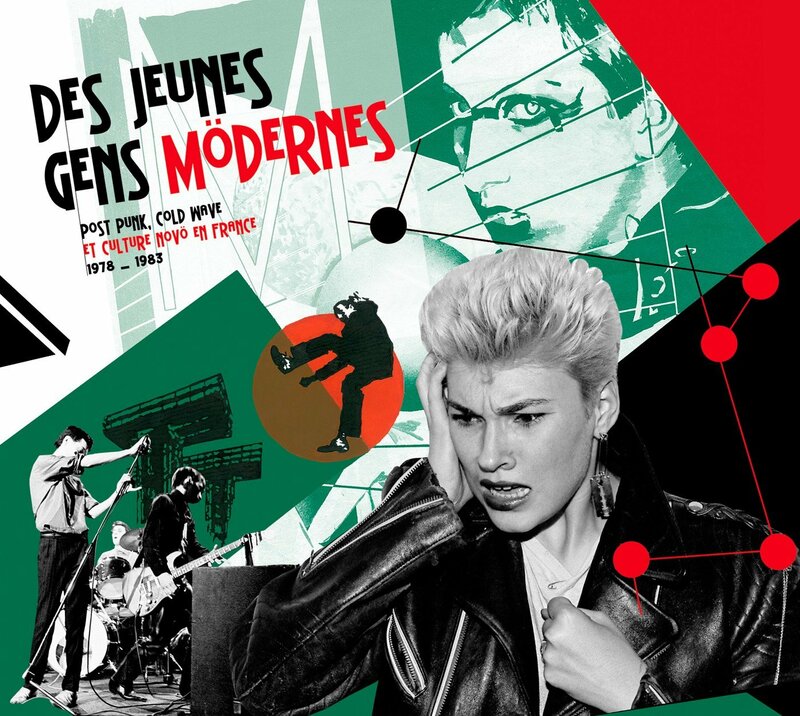 ), I’m now listening to the excellent Des Jeunes Gens Mödernes compilation. Turns out that coldwave crowdfunding project I mentioned a few weeks back was actually a documentary set to be based on an exhibition that happened in Paris in 2008. The compilation is excellent – some old favourites like Elli & Jacno, Kas Product, and Martin Dupont are featured, along with a ton of artists I haven’t heard of before – very exciting! Do check out this compilation if you can – you can listen to samples here and learn more about the compilation and exhibition here. Thanks again for the info and music, Brian!